Green Bay Packers seating chart for Lambeau Field in Green Bay, Wisconsin. The Lambeau Field seating chart is used for every home NFL game played by the Green Bay Packers. 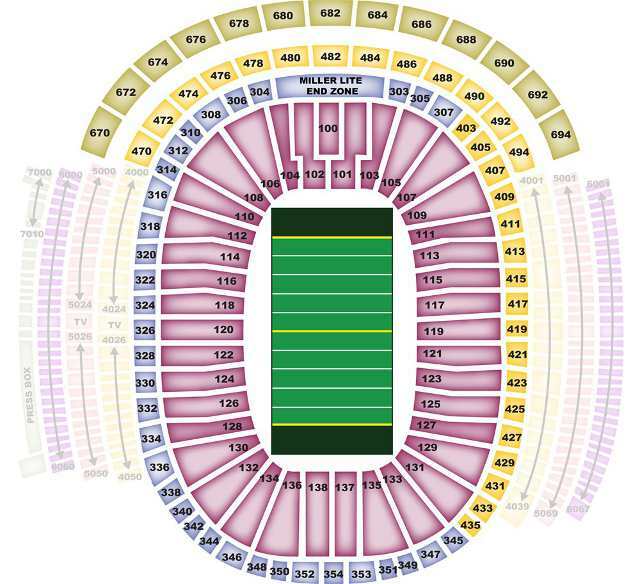 Look at the Packers seating chart before buying any Packers tickets for up-to-date information on the different seat options scattered throughout the stadium. Also see more detailed information about each seating area in Lambeau Field: Packers Suites, Packers Indoor Club Seats, Packers Outdoor Club Seats, Packers Champions Club, Packers Lower Sideline, Packers Lower Corner, Packers Lower End Zone, Packers Lower South End Zone, Packers Upper Level, Packers Middle South End Zone, and Packers Upper South End Zone.